Democrats collectively raised about $68 million since January, according to the candidates who have already released their fundraising totals. That's less than the $81 million Democrats raised during the same period in 2007, the last time the party had an open primary, according to data from the Federal Election Commission. And it pales in comparison with the $30 million Trump raised during the first quarter. 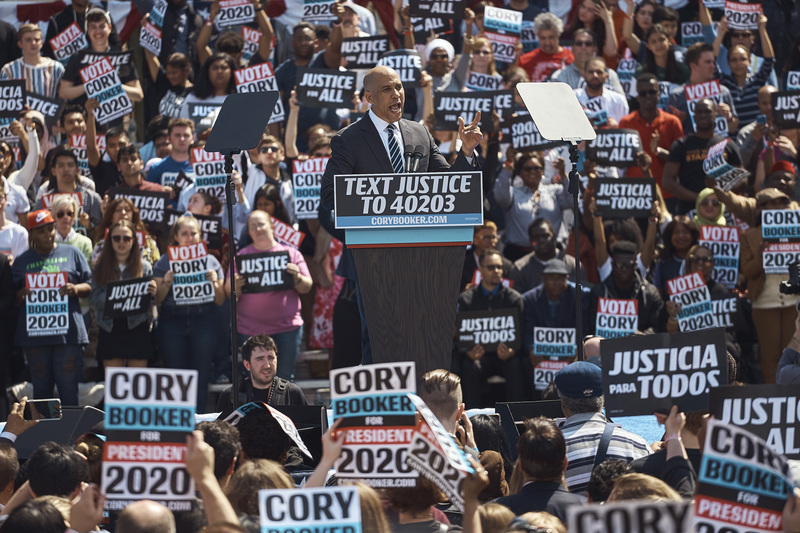 After that comes Massachusetts Sen. Elizabeth Warren, who raised $6 million, Minnesota Sen. Amy Klobuchar with $5.2 million and New Jersey Sen. Cory Booker who raised $5 million. New York Sen. Kirsten Gillibrand raised $3 million, former Obama housing secretary Julian Castro took in $1.1 million and Washington Gov. Jay Inslee raised $2.2 million. "What's happening right now - and I think this is a brilliant political strategy on Bernie's part - is that no candidate can touch him by raising money the way he raises it," Gifford said. "If this continues, you could see Bernie Sanders as the only candidate with a massive financial advantage. You've got to think that gives him a leg up over any other campaign. In my mind, the other campaigns are walking into that trap."